I couldn’t get near the new Mercedes A-Class at the recent Geneva Motor Show press day, such was the media interest in the new car. The scrum seemed ironic, given that the car is very much a me-too effort and not remotely groundbreaking. It’s a Merc that apes other successful cars, most notably the Audi A3. It will also vie for sales with BMW’s 1-Series plus upper-end VW Golfs and sundry posh hatchbacks from the Alfa Giulietta to the new Volvo V40. 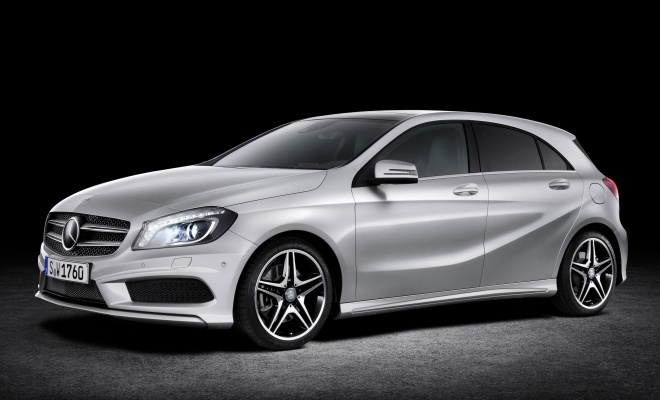 Unlike the BMW and in common with all the rest, the 2012 A-Class is a completely conventional front-wheel drive, medium-sized, two-box hatchback. The third-generation A-Class will offer stop-start technology as standard, and there will be a 99g/km model too. But the outgoing, single-box A-Class was a more intelligent design, even if it wasn’t quite as clean. Unfortunately intelligence doesn’t seem to sell cars – or indeed car magazines. With the focus on a completely different new model, the last of the second-generation A-Class cars should now make good used-car purchases. They aren’t cheap second hand cars, either to buy or properly maintain, they aren’t stylish, but they are unlike anything else on the road. And you can’t say that about the new one. The first A-Class arrived in 1997 and immediately stumbled into controversy. 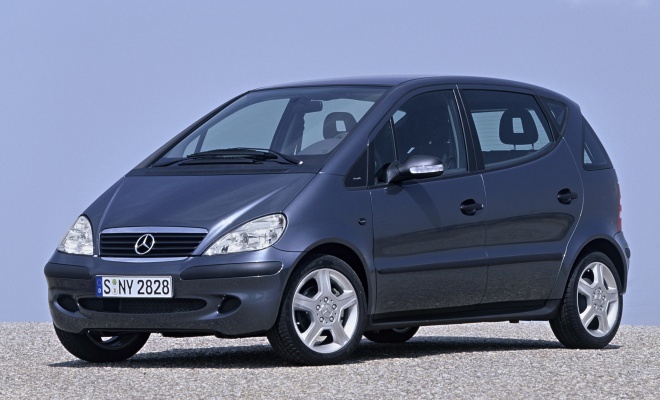 Today there are lots of short-and-tall compact people carriers, but in the late 1990s the A-Class was unusually egg-shaped. It was as short as a VW Polo, as wide as a Golf, as capacious as a Passat and as tall as a van. Unusual proportions weren’t the issue, though, tripping over its own tyres was a much more pressing problem. The infamous “elk test” – a sudden high-speed swerve – dumped the A-Class on its roof and sent engineers scrambling to throw together a fix. As a result, the A-Class gained an electronic stability system as standard (still an expensive rarity at the time) as well as suspension recalibrated to be as soft and pillowy as a breezeblock. All existing A-Classes were recalled to fit the updates. 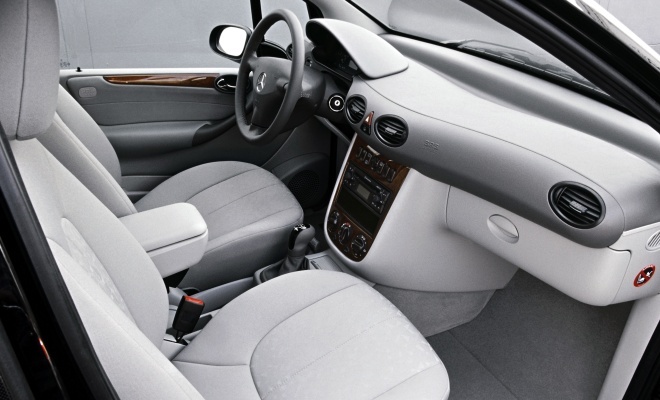 2005’s second generation car was built to be stable from the outset, so is much less compromised as a result. It was also built to a much higher standard of finish and has proven much more reliable. The original A-Class is susceptible to expensive suspension and steering failures that make it a risky used car purchase. The youngest examples have also clocked up seven years of use by now. Both of the first two generations were built atop an innovative “sandwich” floor – a double-deck of steel at the base of the car – designed to bring multiple benefits. Firstly, the heavy, unyielding lumps of engine and gearbox were designed to slide safely between the two floors in a heavy frontal accident, deterring them from muscling into the space occupied by human legs. With the engine safely out of the way, Mercedes’ engineers could use the remaining front structure to absorb energy, providing much better crash survival than the car’s snub nose might suggest. The double floor also helped in side impacts, through direct strength as well as by raising passengers 20cm higher than they otherwise might be, in many impacts taking them further from harm’s way. The design also liberated room in the interior. With parts of the engine effectively tucked under the front footwells, the cabin could be longer than the exterior dimensions suggested. And finally, the space between the floors made the A-Class an ideal platform for an electric or fuel-cell powertrain, although sadly these versions never progressed beyond the prototype stage. The deep floor did impart a slightly unexpected driving position. The elevated interior floor meant a seating posture identical to that in a much lower car, just higher in the air. Today, a one-year-old A-Class can be bought through the manufacturer’s approved-used scheme for under £10,000. I’d plump for one of the BlueEfficiency models – there are two manual petrol models with stop-start, plus a diesel that offers CO2 emissions from just 118g/km.